The Newsone premium wordpress template is a hugely flexible news theme. Thanks to the tag based functionality Featured articles and Photo carousel modules are completely adaptable to your content. 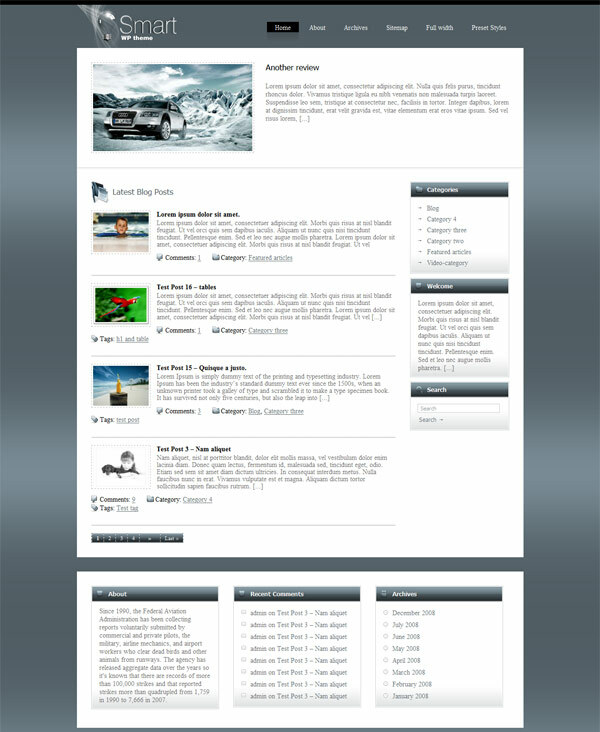 This template will be perfect for web publishers wanting to present their content in an attractive way. The theme comes with a featured tag based tabber section on the homepage to emphasise your most important messages. Just add “featured” tag to the post in order for it to be included in the featured section. There is also an integrated Featured Photos carousel to display latest photo or video posts and you can control the visibility of this module. You can also choose the number of Advanced categories and Advanced posts to show; control the number of featured carousel posts, Most commented and Recent commented modules. There are 3 unique style variations + excellent Color Chooser addition as well as 6 additional widgets and 5 different widget spaces. Smart is an universal wordpress theme that can be tweaked to fit pretty much every need for a blog. You can use this theme for business websites and for personal blogs or maybe for a niche solution and so on. This theme can be configured very easily thanks to the supplied with it 5 additional widgets, and the additional color schemes module. The original style offers more like a personal blog layout where you can select between showing full posts or excerpts. 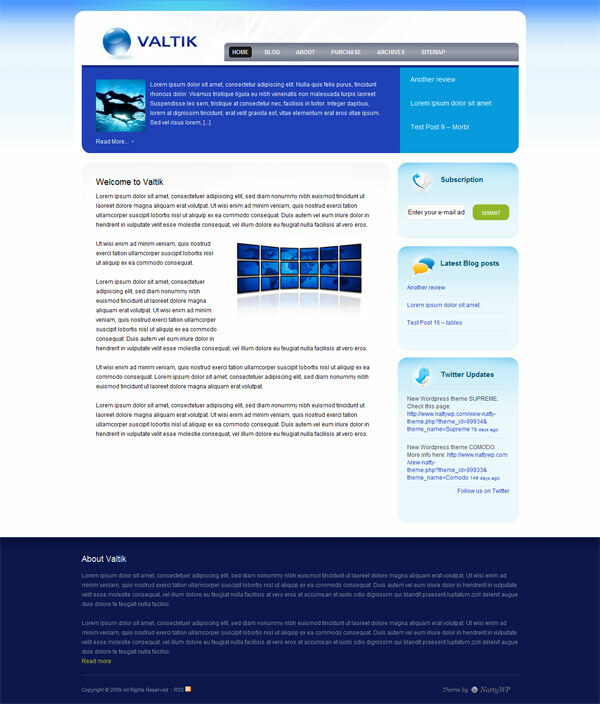 The theme comes with integrated banner ad management, page based homepage displaying specific page that have been enabled in the backend theme options panel, multiple additional widgets and 7 different widget spaces and 3 predefined color schemes to choose from with additional options for further customization. And indeed you can call this theme Smart not only by name, but because of its extensive set of features. Valtik wordpress theme – unique CMS template for wordpress, it is supplied with additional widgets, and additional color module. You can change the background color and color design of one or few blocks. The Valtik premium wordpress theme comes with a featured scroller that lets you display most important information from your featured category, a separate page for the company blog, it uses a page based homepage and footer displaying specific pages that have been enabled in the theme options and there are 6 additional widgets and 4 different widget spaces. It is simple, effective and highly customizable in order to perfectly suit your needs.